Hello. Here’s the second episode of the podcast I’m hosting for Wine Enthusiast, What We’re Tasting. It’s a look into Central Coast Syrah. 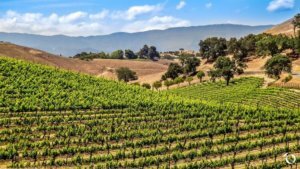 Now when you think of California wine, of course Napa and its iconic Cabernet get the lion’s share of praise. So it was great to speak with Matt Kettmann, who is a guru when it comes to the wines of the Central Coast. Syrah vineyard photo via Ballard Canyon AVA. BTW, the first wine we talk about is from this region within the Central Coast.